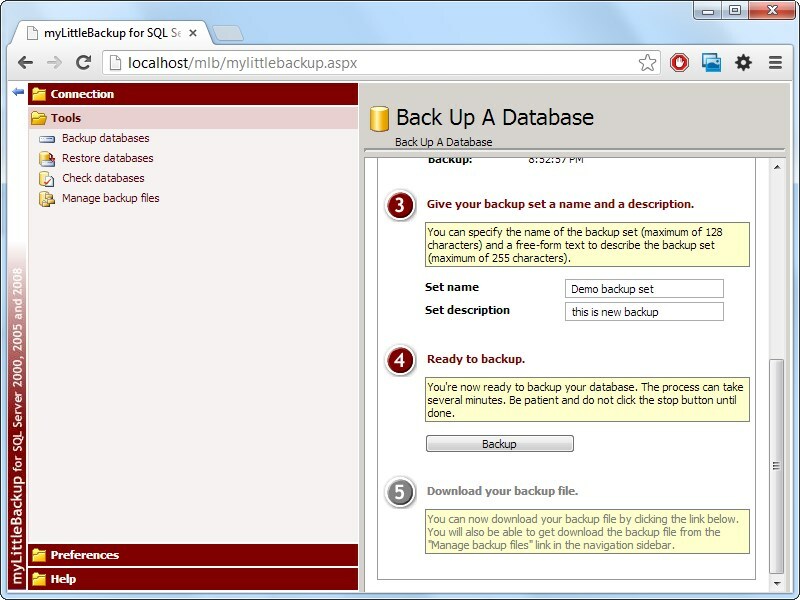 myLittleBackup for SQL Server is a web-based application. It means that it can be accessed from any Internet connected computer anywhere in the world, from work, at home or on the move. myLittleBackup has been successfully tested with all the major modern web browsers, including Chrome, IE, Firefox, Safari, Opera etc. How many times a day do you receive support queries like "How can i get a copy of my database?" 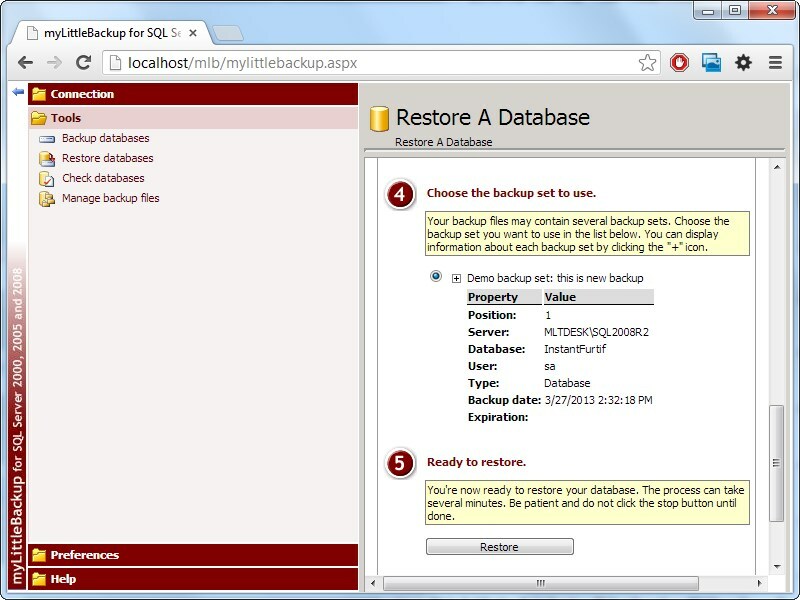 myLittleBackup allows to backup a database in only a few clicks. 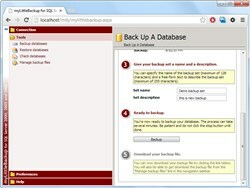 Once the database has been backed up, the user can download the backup file on his own machine. 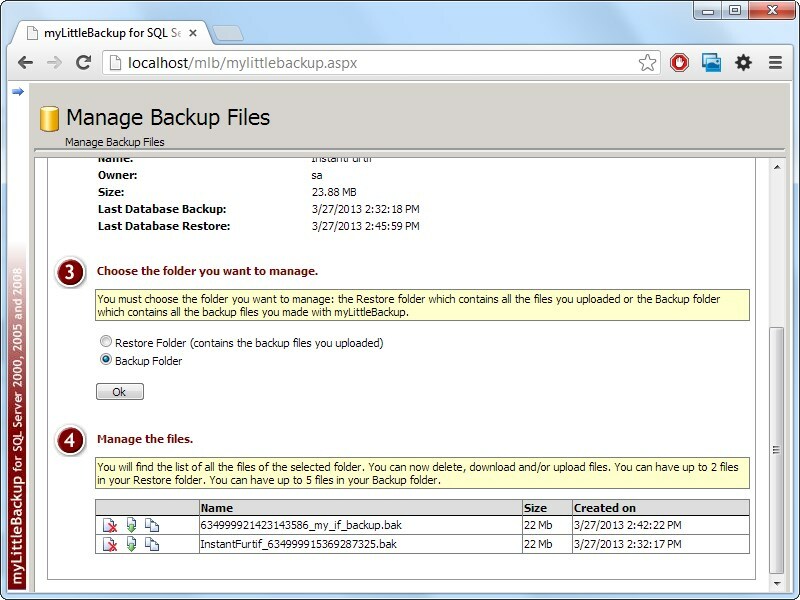 myLittleBackup allows uploading a backup file and restoring it on the SQL server even when the backup file comes from another server. After the restore process, myLittleBackup will check user mappings and all other important options for you, which includes user mapping, auto-close options, size limits etc. 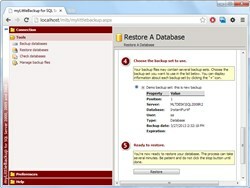 myLittleBackup also includes 2 powerful tools that reduce your support time. Check databases: allows users checking and fixing user mapping and important options in a few clicks. myLittleBackup interface gives the possibility to create and manage your own skins and language packages. Installing myLittleBackup is really easy. 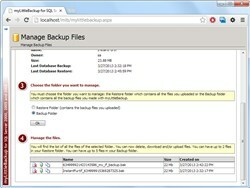 You just have to upload myLittleBackup files on your IIS server and edit a single config file. An installation guide describes all possible network configurations and how to configure myLittleBackup for all these configurations. This guide is available for download by clicking here : Installation Guide.